A long-awaited report from Finland's Ministry of Transport and Communication released Friday says the agency will further explore an Arctic rail link from Finland to the port on Norway's Barents Sea coast. Finland’s Ministry of Transport and Communications has decided that a proposed railway route linking the nation — and eventually the rest of Europe — to the Arctic Ocean should explore using a route via Oulu, Rovaniemi and Kirkenes, Minister Anne Berner announced in a press conference Friday. “The Arctic railway is an important European project that would create a closer link between the northern, Arctic Europe and continental Europe. The connection would improve the conditions for many industries in northern areas. A working group will now start to further examine the routing to Kirkenes,” Berner said. Solvik-Olsen participated in the press conference via a video link. In the room were several of the people who have been working with the project over the last months and years, among them former Prime Minister Paavo Lipponen. According to a report submitted to Minister Berner on 28th February, the estimated costs for the infrastructure project will be up to €2.9 billion. That includes €0.9 billion for the Norwegian side. The Arctic railway would improve Finland’s logistical position and accessibility as well as promote connections with the whole of Europe, the document says. Berner sent a first hint early this week. In an announcement to the press, she made clear that today’s press release about the railway project would be delivered not only in Finnish, Swedish and English, but also in the North Sami language. The North Sami language is spoken primarily around Inari, an area located between Rovaniemi and Kirkenes. In her presentation today, Berner admitted that there will be consequences for the indigenous Sami people in the area. “The routing via Kirkenes will have impacts on the environment and economy as well as the industry and culture of the Sami. The studies describe the effects on reindeer husbandry and Sami people, but their extent was not assessed at this stage. These effects must be addressed in further studies,” she made clear. Several potential routes have been assessed by a joint Finnish-Norwegian working group. But is was the Rovaniemi-Kirkenes alternative which was the one preferred by the experts. “All the alternatives are technically feasible. However, there was a lot of variation in terms of financial aspects and environmental impacts,” says Director Matti Levomäki from the Finnish Transport Agency. The new report is a milestone for proponents of the project. 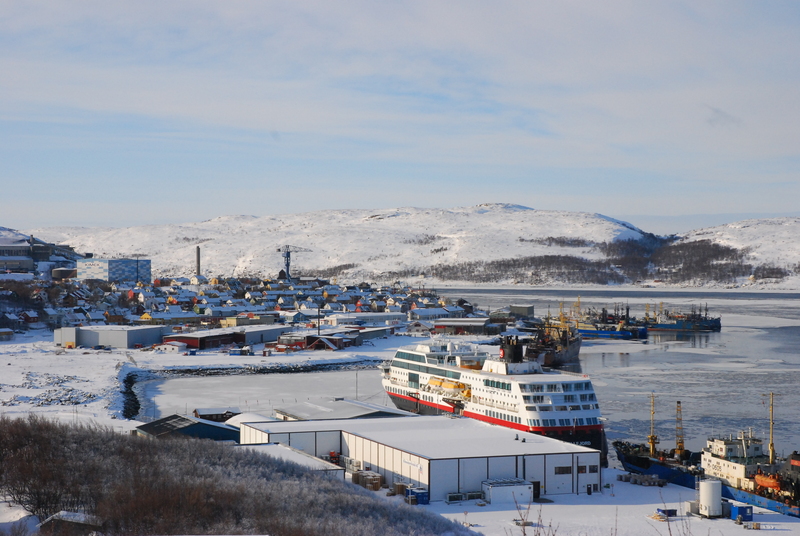 As far back as 2007 Kirkenes port director Oddgeir Danielsen announced that a Rovaniemi-Kirkenes connection would open up a unique European link to the Arctic Ocean. A Norwegian-Finnish railway project would be of significant importance for the EU non-member Norway, and help bring the region closer to European partners, he told the Barents Observer. Several Norwegian towns have subsequently fought to become the end destination for the projected railway line. Today’s announcement spurred rejoicing in Kirkenes, but disappointment in Tromsø and Narvik. 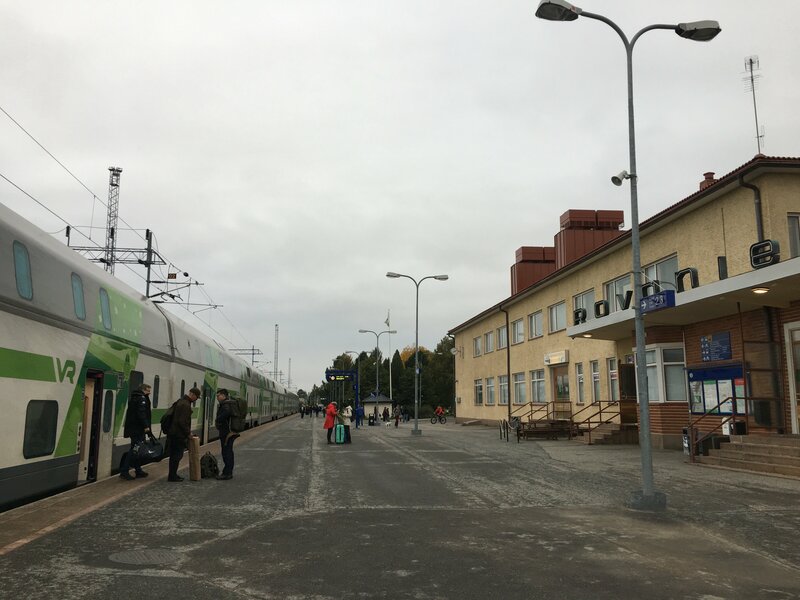 However, there is a long way to go before passengers can take a seat in the Rovaniemi-Kirkenes Express and goods can be loaded onboard the several-hundred-meter-long projected trains. The Finnish government says it intends to establish a new joint working group which is to determine further stages and schedules. It is to examine key questions relating to the chosen routing, including environmental issues, permit procedures, costs, and finance structure and model, Minister Berner says. The deadline for the group’s work is Dec. 31, 2018. In a statement, the Norwegian Ministry of Transport says is it stands ready to contribute to this process.